They don’t have the nicest name, but they are the epitome of a “superfood” and we should all be eating these tangy treats. If you’re not already eating them or are unfamiliar with their amazing health benefits, this blog’s for you. 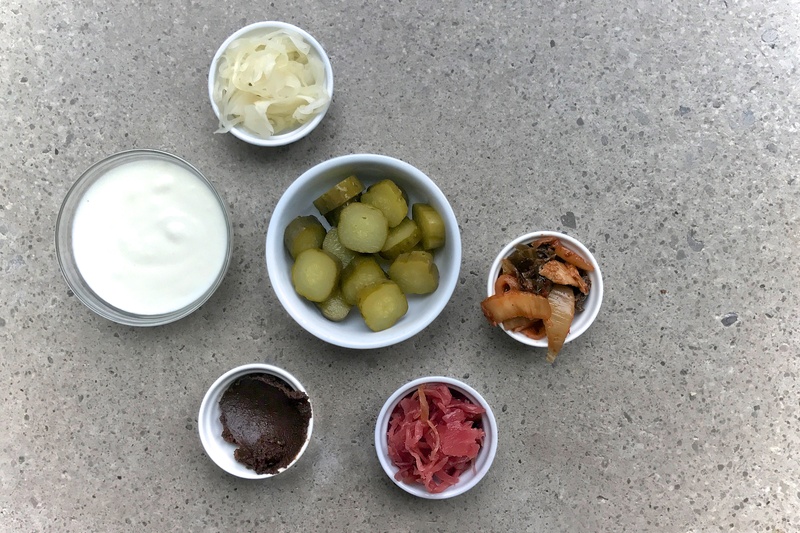 I’m answering the most frequently asked questions about fermented foods below and also sharing some easy recipes to help you get more of these tangy treats in your belly! 1. Why should I be eating fermented foods? Simply put, fermented foods are powerfully rich in probiotics. Probiotics are finally getting the attention they deserve, as more and more people understand the link between good bacteria, gut health and overall health. Besides probiotic power, fermented foods are also higher in nutrients and easier to digest (more on that a little further down). 2. 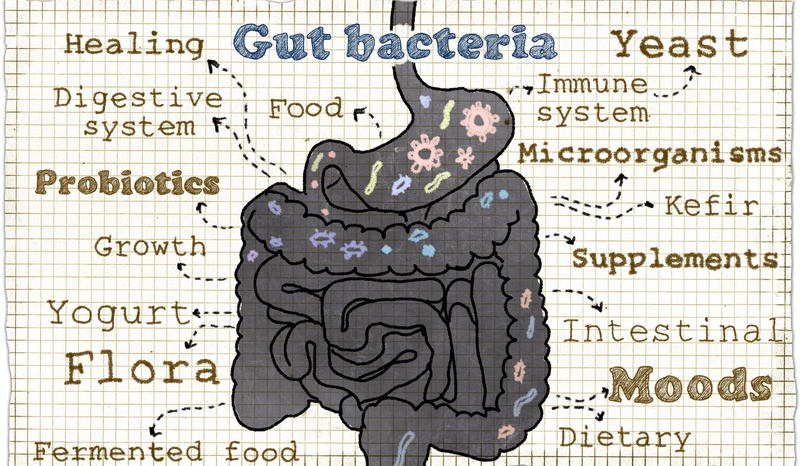 What is a probiotic? If you break down the word, it literally means FOR LIFE “pro” (for) “bio” life. We house all sorts of different microorganisms in and on our bodies (collectively known as our microbiome)…the good, the bad, and the ugly. But, when we talk about probiotics, we are referring to the live beneficial bacteria: the good guys! 3. Why is good bacteria so important to my health? Our bodies are home to many TRILLIONS of microbial organisms (aka. microbes). Microbes greatly outnumber our cells! Most of these tiny superheroes live in our digestive tract. That’s why digestive health is so important. But, just like any great action flick, there’s a constant tug of war inside us between the good and the bad. We need them all. But, in order to be healthy, these bugs need to be balanced and the good guys need to have the upper hand. Our overall health is a reflection of the health of those tiny bacteria. They help to produce vitamins (from scratch! ), produce neurotransmitters like dopamine and serotonin, they help digest our food and unlock nutrients for us, they increase our metabolism and are a MAJOR contributor to a healthy immune system. Probiotics, truly, are superheroes. But, are good guys are constantly being crowded out and killed due to our modern lives of chronic stress, antibiotic use, crappy dietary choices and synthetic chemical bombardment. Eventually, the bad guys start winning the war and running amok. How do we reinforce our troops? There are lots of ways, but eating fermented foods is one of the best! (For more info on probiotic supplements, check out my blog on How to Choose Probiotic Supplements. It’s a chemical reaction that happens when yeast or bacteria consume sugars or carbs and convert them into either acid or alcohol in an oxygen-free condition. That’s where these foods get their signature tangy taste. This method of food preparation and preservation has been used since ancient times. Some of the more popular examples of fermented foods include wine and cheese…I mean, who doesn’t love wine and cheese? Unfortunately, wine and cheese can also be problematic for many and, nutritionally, they got nothin’ on the truly raw, lacto-fermented foods that I’ll be outlining here. 5. Can I ferment my own foods at home? You sure can! It’s really easy and much cheaper than store-bought. That said, this is not my area of expertise and I just can’t seem to find the time. Maybe one day…In the meantime, there are a lot of great home-fermentation resources online. A quick google search will have you rocking and rollin. 6. Which fermented foods can I, easily, find at my local health food store? But with the rising popularity of fermentation, you can find so many cool fermented veggies like carrots, beets, even mustards and other sauces…there’s also kombucha, natto, lassi and high-quality yogurt…and don’t forget, sourdough and even cacao are fermented producst! Yay! 7. What are some of the health benefits of eating more fermented foods and probiotics? 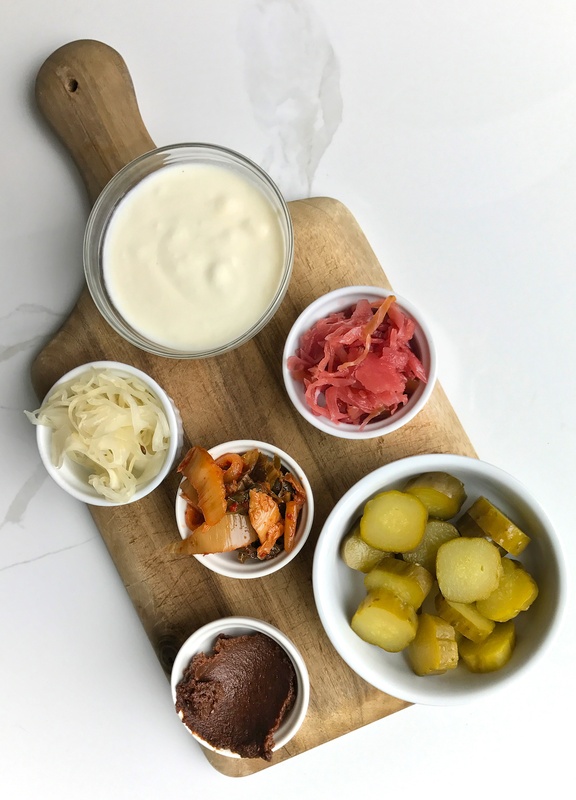 Because fermentation is a natural process the end result is an incredibly wide variety of probiotic strains in these foods (remember our probiotic A-team…diversity of these bacteria is the key to health). Those tiny superheroes have a hand in every process in our bodies! And, on top of all the benefits they confer from beneficial bacteria action, the chemical reaction of fermentation also essentially “unlocks” many nutrients within the foods (making those nutrients more available to your body). Chew on this: where raw cabbage has a decent amount of vitamin C, once it’s fermented, it can have up to 20+ times more vitamin C! The bacteria also “pre-digest” protein molecules, which comes in handy when foods have large (sometimes problematic) proteins. This pre-digesting takes the load off our digestive system and we could all use a hand in that department. So beyond their ability to “reseed” your gut with beneficial bacteria, fermented foods are just more nutritious and easier to digest than their unfermented counterparts. Yay! Science has only just scratched the surface of how incredible these little guys truly are. 8. If I’m not used to fermented foods are there any guidelines to keep in mind when trying them out? If you’re not used to eating these super healthy foods, you’ll want to start slow to make sure you don’t experience any unpleasant side-effects. Because, when the good guys start winning down there, the bad guys die off and need to leave your body somehow. If this happens too quickly you can experience things like “die off” symptoms (things like headaches, gas, bloating, pimples etc.…). So, if you want to avoid that, just start slow and see how it goes. I’d recommend starting with about ¼ cup – ½ cup of fermented veggies a day to see how that goes…or a few tablespoons of kefir for a week and go from there. It’s a good goal to be aiming for a little fermented food every day if you can. 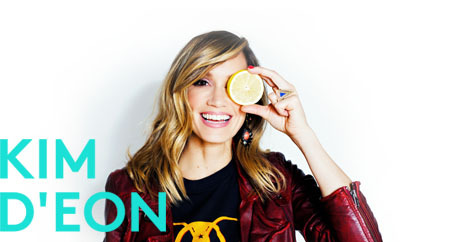 For Part 2 of Fermentation FAQs including some handy recipes using fermented foods, click here! To learn more about my advice on how to stock your own kitchen for real food success, be sure to check out my ebook Fresh Start Kitchen by clicking the link in the pic below.